Here’s what’s happening in the world of television for Friday, October 27, and Saturday, October 28. All times are Eastern. 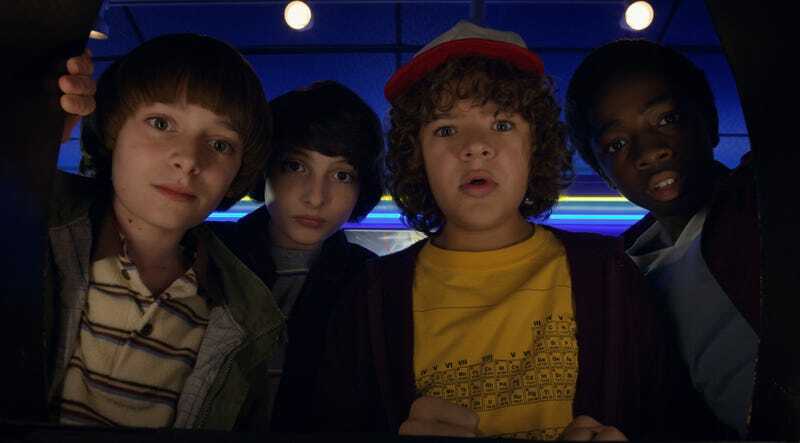 Stranger Things (Netflix, 3 a.m.): Last summer’s sleeper hit returns to perk up the fall TV season, offering more spectacle, danger, and excitement for the most intrepid of Dungeons & Dragons players. Will Byers is still recovering from his time in the Upside Down, though video games and trick-or-treating provide ample distraction. But he can’t shake the feeling that the ordeal isn’t over, and if you’ve seen the tentacled monster in the trailers, then you know he’s right. With a possible invasion looming, Emily L. Stephens is biking to Hawkins as we speak–er, write—and will be posting daily reviews. E.T. The Extraterrestrial (Netflix): You don’t even have to change streaming apps for this pick. And since Stranger Things borrows heavily from Steven Spielberg’s sci-fi fantasy classic, the two go together like E.T. and Reese’s Pieces, Eleven and Eggos, or product placement and movies.